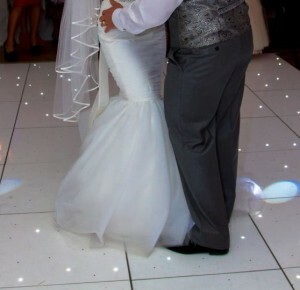 Starlight Dance Floor is one of the Yorkshire’s leading hire companies supplying a range of the best portable starlit, starlight dance floors, LED Dance Floors and twinkle dance floors to the wedding, civil partnership, and events industry. 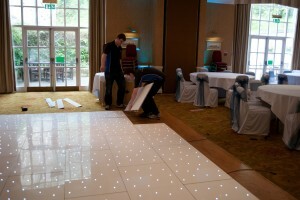 Our fully insured technicians delivery install and collect our full range of starlight dance floors from your venue. 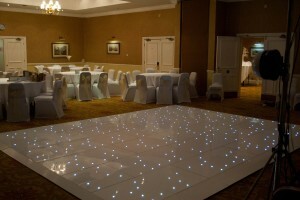 Our Starlight Dance Floors add a touch of class to any event. Starlight dance floors are fitted with LEDs to create a breathtaking star light twinkle and will make a statement at your event. Many of these features are not available by our competitors, as we have developed them in house with our own technicians to give you the best possible service. We are Yorkshire’s leading Starlight Dance Floor hire company’s for Weddings or Events in Yorkshire, Lancashire, Cheshire and Manchester. Located in Cleckheaton we regular supply our Starlight Dance Floors to: Blackpool, Preston, Warrington, Cheshire, Manchester, Bolton, Doncaster, Halifax, Huddersfield, Hull, Oldham, Sheffield, Stockport, Leeds, Bradford, Wakefield, Harrogate, York, Liverpool, Derbyshire, Leicester, Birmingham, Newcastle, Cumbria, Yorkshire, North Wales, Merseyside and North West Included.